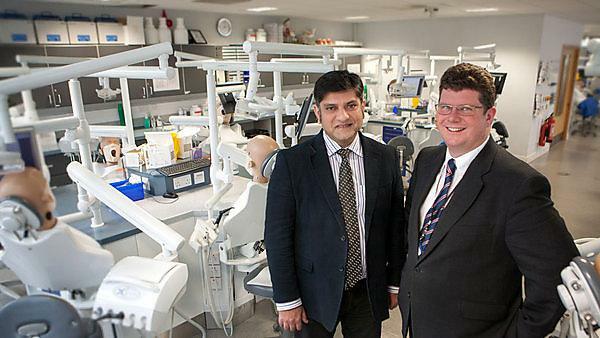 Dr Kamran Ali, Associate Professor at Plymouth University Peninsula School of Dentistry, has been made a Senior Fellow of the Higher Education Academy. Kamran joined Plymouth University Peninsula Schools of Medicine and Dentistry in 2009, where he is Clinical Lead in Oral Surgery and Module Lead for Applied Dental Knowledge Assessment. His interests include clinical teaching and practice in oral surgery, and he has a special interest in teaching life sciences. His research is focused on dental education and oral surgery and his work has been published in journals such as the European Journal of Dental Education, the Cochrane Database and Caries Research. In 2012 Kamran received the 'Excellence in Dental Education Award' given by the Association of Dental Education in Europe (ADEE). He is a member of: the Association of British Academic Oral and Maxillofacial Surgeons where he sits on the Dental Education Committee; the Dental Sedation Teachers’ Group, where he is school representative; the Higher Education Academy; and the Association for Dental Education in Europe.